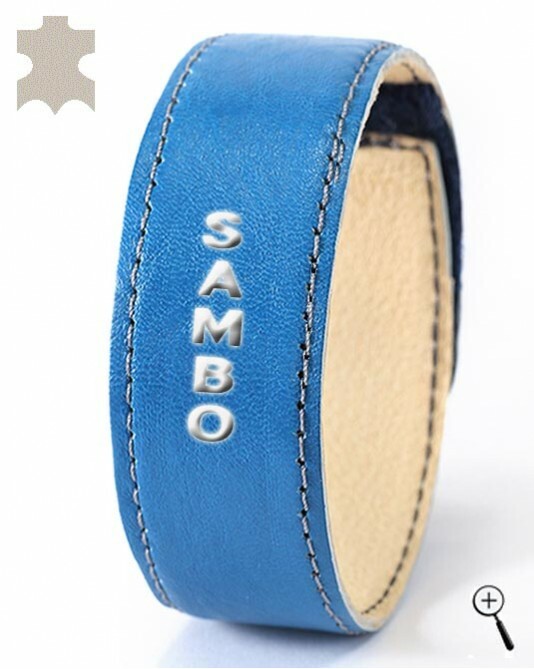 The blue magnetic leather band, labeled "Sambo" is made of natural leather. Underside of the magnetic leather band is made from not dressed leather, which imbibe sweat and does not irritate the body. The lining of the magnetic leather band is cleaned in lukewarm water.